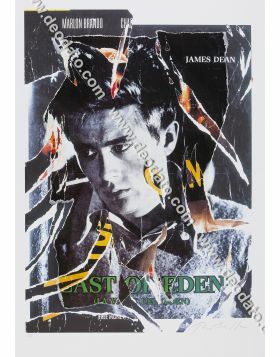 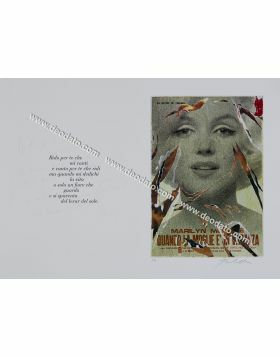 SeriDécollage inspired to the manifesto of River of No Return of the 1954. 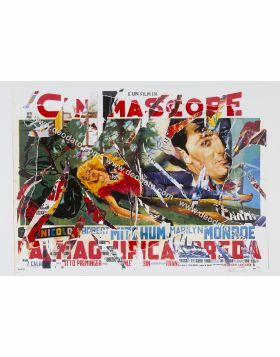 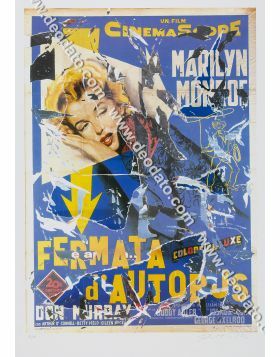 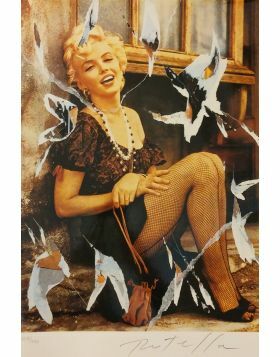 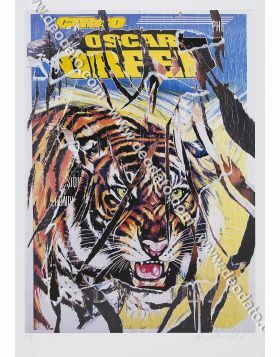 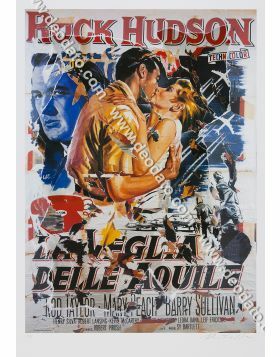 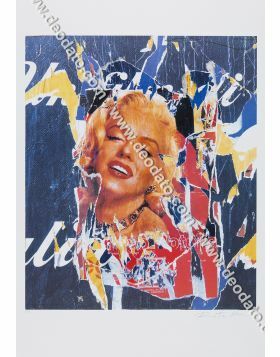 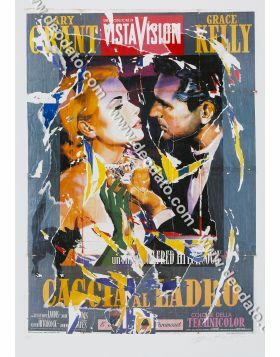 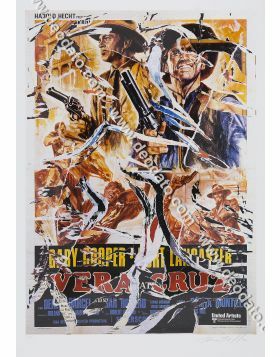 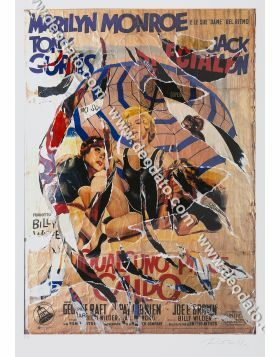 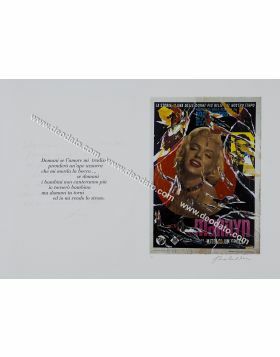 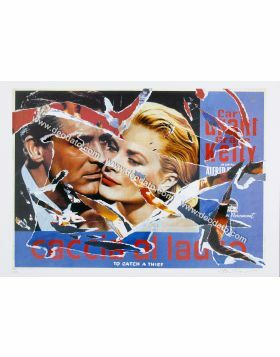 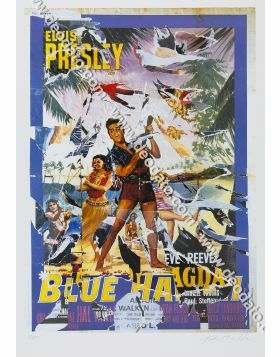 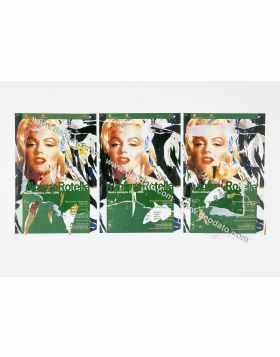 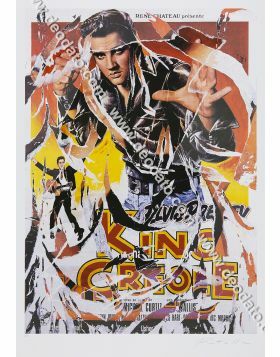 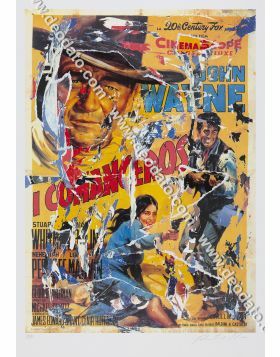 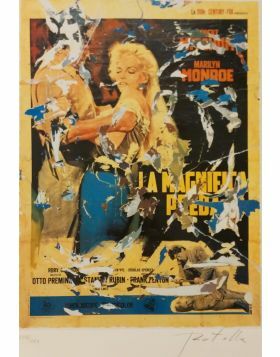 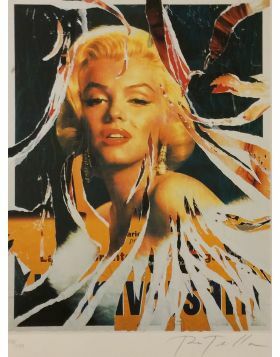 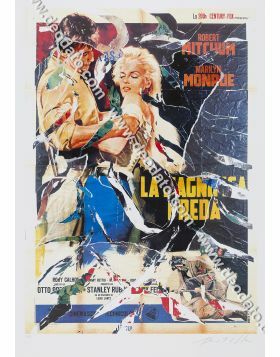 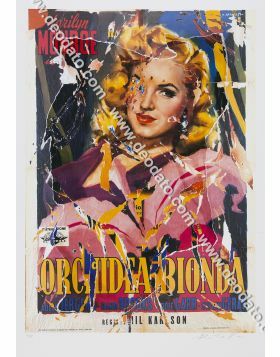 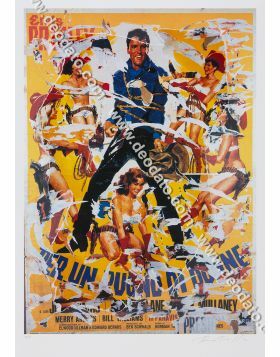 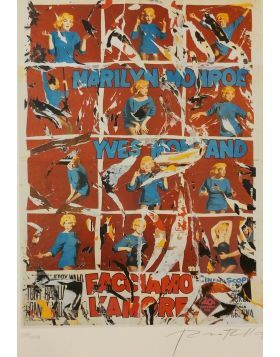 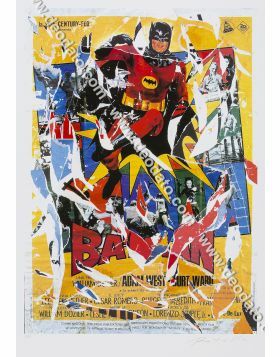 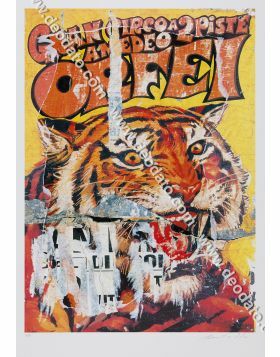 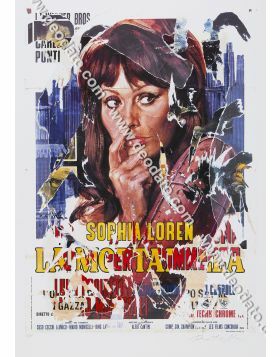 Mimmo Rotella homages the only film western directed by the famous director Otto Preminger and interpreted by an unpredictable Marilyn Monroe with little makeup and with unsophisticated suits. 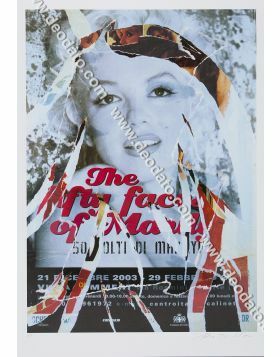 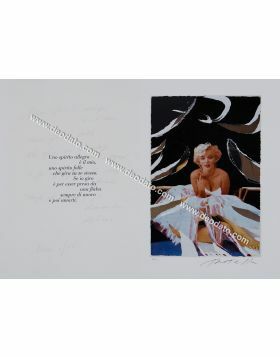 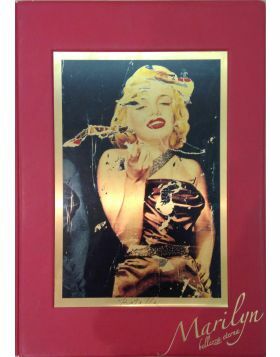 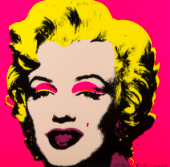 The face of the splendid Marilyn, already protagonist of the original poster of the film, is subsequently exalted by Rotella with his handmade rips. 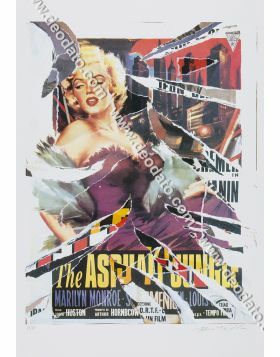 Seridecollage signed and numbered in original by the artist. 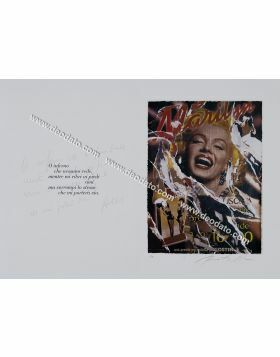 Limited edition in 120 works with arabic numerals, 50 works in roman numerals and 20 artistic test. 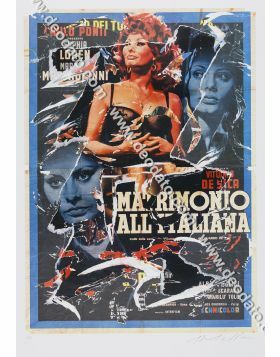 STAMP of Mimmo Rotella Foundation in the lower left. 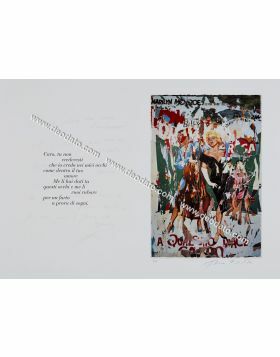 The work is published on catalogue by Elena Pontiggia, p. 34. 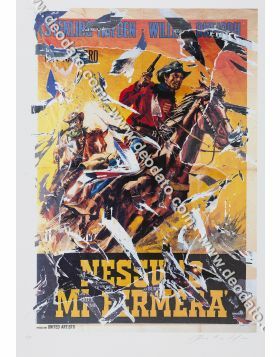 Nota Opera FIRMATA in basso a destra. 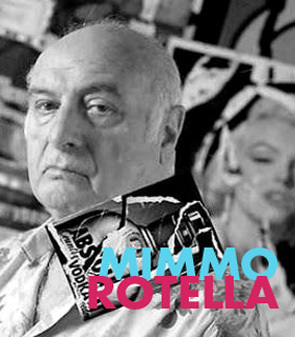 TIMBRO DELLA FONDAZIONE MIMMO ROTELLA in basso a sinistra.